Stationary Battery Monitoring systems have increased in importance due to the decline of craft specialists, reductions of maintenance personnel and the increasing number of unmanned facilities. Additionally, NERC PRC-005 requires electric utilities to implement maintenance plans for protection systems associated with the Bulk Electric System. 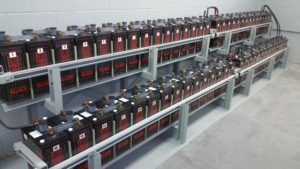 Contact us for more information about our battery monitoring options.